Active adventure is the seed from which extraordinary travel experiences may blossom. At a certain stage however, the body resists. 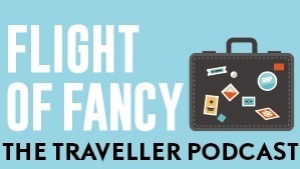 A revolution sweeping Europe is ensuring that energetic travellers can still dream. Five years ago, e-bikes were as rare as desert truffles. Arduous cycles through mountainous terrain were the preserve of the fit or youthful. Now, the glittering jewel in the crown of guided and self-guided cycling adventures is the pedal-assisted bike. Cycle journey operators are recognising a booming demand from still-energetic travellers seeking adventure minus exhaustion. Says Sue Finn, from active European holiday specialist, UTracks, "E-bike riding is like an epidural – no pain, just push!" 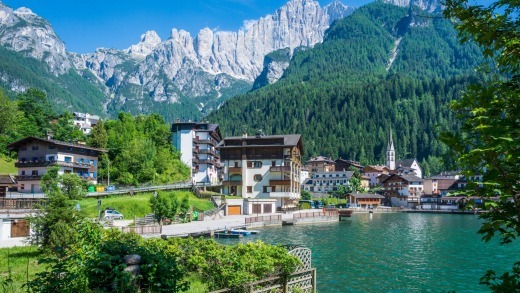 For this writer, who has completed many European cycles, UTracks' eight-day, self-guided, 350-kilometre cycle from the Dolomites in Italy's northernmost South Tyrol/Alto Adige area down to Venice and the Adriatic is a revelation. A recent, physically challenging Portuguese Camino mountain bike journey looked to be my last. The switch to e-bikes offered a reprieve, facilitating this potentially hard trip with its total ascent of 2800 metres and daily distances of up to 70 kilometres. UTracks rates the trip "moderate" but suggests "a good level of cycling fitness" and offers train alternatives or shortcuts, which we never take. 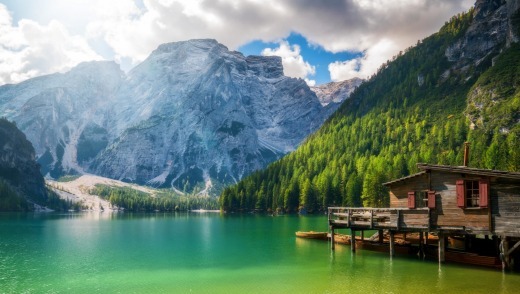 We also welcome the add-on detours, like the 14-kilometre steep cycle over rough terrain to the gorgeous Lago di Braies at 1496 metres. Or the long option from Prosecco's Valdobbiadene up challenging climbs to mountainous Asolo, known as "the pearl of Treviso" and "city of a hundred horizons". We detour to the Veneto region's world heritage-listed Villa Barbaro, a masterpiece by 16th-century architect, Andrea Palladio, with its important Paolo Veronese frescoes. Cycling on the same itinerary are five Englishmen in their mid-70s. Three have switched to e-bikes. Without this option, the cycling holidays the "Monday drinking club with a cycling problem" has long enjoyed would have ceased. This multi-terrain cycle on gravel and paved roads, bike paths and mountain tracks is an ideal e-bike testing ground. From the Austrian border, it winds through alpine pastures, along rivers, between peaks, over passes, before sweeping down through valleys and vineyards to the Venetian plain and the Adriatic. From the mountains to the sea, there's diverse terrain, food, regions, history, even language. E-bikes are enablers, not motorcycles, easing the pain, allowing you to cycle further over more challenging terrain. You only need deploy the battery with its eco, tour, sport and turbo levels on steepish inclines. 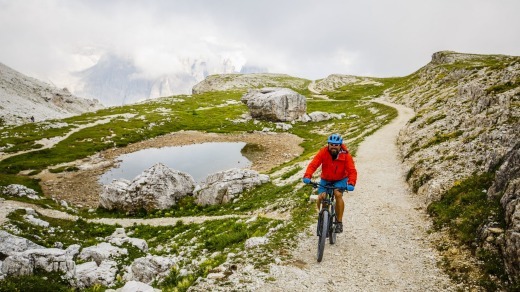 Though I adore sport and turbo, I only use the battery about 30 per cent of the time.Our e-bikes give us breathing space to appreciate scenery like the Dolomites' Three Peaks of Lavaredo, explore Winter Olympics resorts such as Cortina d'Ampezzo or take time to enjoy the fruits of the prosecco capital of Valdobbiadene. There's more opportunity to visit historical sites such as the Piave River, also known as the sacred river due to World War I battles fought there, and Pieve di Cadore, 16th-century Venetian painter Titian's birthplace. Without the need to rush, or recuperate, we stop for local-fare lunches, cheese and wine tastings, museums, sightseeing, coffee, and gelato. We get to chat to locals – we Australians are fortunate to receive a universally warm Italian welcome. Our expedition begins in the mostly German-speaking valley city of Bolzano, gateway to the Dolomites on the River Adige. 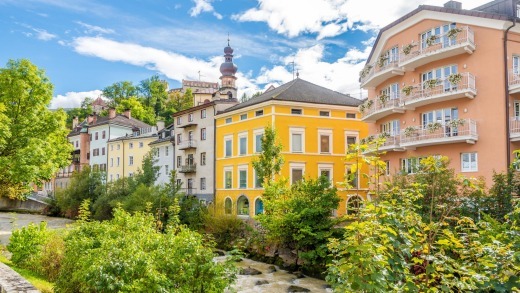 Bolzano has a charming medieval centre, the South Tyrol Museum of Archaeology with its Neolithic mummy, Otzi the Iceman, and an impressive Romanesque-Gothic cathedral. Italy annexed South Tyrol in 1919, against the will of the people, who wanted to remain Austrian. Above us loom the wild peaks of the Dolomites, "the pale mountains" that glow as if with an inner fire. We're driven 90 kilometres into these mountains from Bolzano's 260 metres to Brunico in the Puster Valley at 838 metres. This little town with its pale green, yellow and pink medieval frescoed buildings is where our cycle begins. We're introduced to our bikes (see box) before setting off at 11.30am into the snow-capped mountains along the Rienz River cycle path, then ever upwards past snowmelt lakes, villages, medieval castles and churches, through conifer forests passing puffing cyclists sometimes pushing their steeds.This shorter stage of 32 kilometres (with a 490-metre elevation) morphs into about 55 kilometres as we choose the Lake Braies detour, getting lost periodically – e-bikes make this far less daunting. It's hard to focus on directions surrounded by a rainbow of spring flower meadows, frosty lakes, tumbling lilac and May bushes and ghostly peaks resembling crooked witches' fingers. The rain arrives as we cycle into Dobbiaco (Toblach in German) on the Austrian border at the entrance to the Landro Valley. The baroque San Giovanni Battista church anchors the town centre, cradled by snowy mountains. We tuck into the traditional food of the Puster Valley – Sudtirol's spicy pork speck, piquant mountain cheese, barley soup, schlutzkrapfen (ravioli) – and Tirtlan dumplings. As we descend towards Venice, the food will revert to more traditional Italian fare with regional specialties such as radicchio and tiramisu in Treviso. It's a nine-degree June day as we set off from Dobbiaco through the pine forests where Gustav Mahler composed his last symphony, the ninth, in a tiny log cabin, and wrote Das Lied von der Erde. Still at 1256 metres, we pedal into the Landro Valley, joining "the Long Way of the Dolomites", a spectacular alpine cycle journey among world heritage-listed peaks, ending in Belluno. Here also are the via ferrata, the iron paths of the Dolomites, high-altitude hiking paths with fixed wire cables built in WWI to aid the movement of Italian alpine military units. At times, we follow old WWI railway tracks, closed in 1962. Today's cycle of 66 kilometres (75 for us) with total elevation of 800 metres would normally have been a worry. 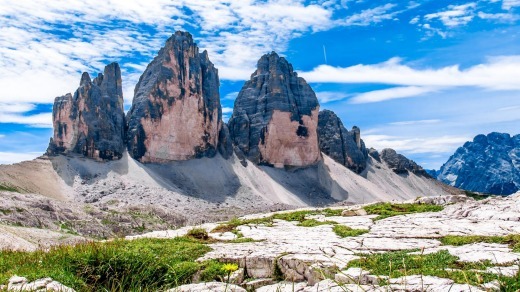 But it's a wondrous ride past Dobbiaco and Landro lakes, the high lake of Misurina, through national parks, past the iconic Dolomite landmark of the Three Peaks of Lavaredo that stand skeletal, their colours metamorphosing from pinks to spectral greys. Add in scents and birdsong, cowbells clanging – even the "children crossing" signs in the villages are happy. There's a rocky climb over the 1529-metre Cimabanche Pass through historic WWI landmarks, cliffs and rushing rivers, down to the Queen of the Dolomites, Cortina, that hosted the 1956 Winter Olympics, then steeply down again to the Boite River valley towards our Eastern Dolomites destination, Pieve di Cadore at 878 metres in the Veneto region. The greatest Renaissance painter, Titian, is remembered in an elegant statue in the main piazza. Tomorrow we cycle to Belluno, joining the Piave River, stopping for lunch at Longarone, scene of the 1963 Vajont Dam-burst disaster that killed almost 2000 people. The museum speaks of "first the roar, then the silence of death" as a tsunami flooded the valley. Danger signs along the path still warn of "the possibility of sudden flood waves". A three-kilometre climb out of Belluno brings us to the tiny village of Libano and Cafe Manuel for excellent flat whites and next door, a deli where we pick up baguettes and chat to the lively shopkeeper with Sydney relatives. A little further on, at Ponte Mas, "Roger" dashes out of a cafe and invites us for coffee. An Italian who once lived in Sydney, one suspects he lies in wait for antipodean cyclists. He directs us to Certosa di Vedana at Sospirolo, a community of cloistered nuns, once an 1155 hospice. Roger tells us one of the men who dropped the Hiroshima bomb spent time there. We've descended from the edge of the Dolomites now and the landscape is rounder, more Tuscan. Fig trees have materialised, hydrangeas, roses and cypress trees and a cuckoo follows us up another two-kilometre climb with seven hairpin bends. At Busche, we stop at a 60-year-old dairy co-op, Lattebusche, to buy the local Piave DOP and Montasio DOP cheeses and artisan ice-cream. There's a scary section of provincial road, with tunnels where truckies use their air horns and I slip a chain, arriving black-handed in Valdobbiadene. This pretty town with its neoclassical town square lies in a green valley at the foot of Veneto's alpine-Dolomite areas. We pay homage at dinner to the delicious Valdobbiadene prosecco DOC. A thunderstorm accompanies our departure through vineyards for our 75-kilometre ride to Treviso, with its detours to Asolo and Villa Barbaro. The day clears revealing countryside heavily cultivated with vines, cherry, plum and olive orchards, wheat, wisteria and chestnuts. If you stick it in the ground, clearly it will grow. We've hit the Munchen-Venezia bike path into Treviso. School's out and this city of arcades and canals is buzzing. Naturally, there will be food. And wine. Someone has ironed the landscape for the last leg to Mestre and Venice. It's a flat and lovely ride through eastern Veneto, along canal paths of the Sile, Zero and Dese rivers. They've also turned up the temperature to 33 degrees. Italy's wondrous culture is evident in the Sunday parade of people – canoeists, people strolling, enjoying their Aperols at river cafes. No mobile phones – just people enjoying other people. Venice's Mestre is our happy destination. Released from the fear of failure, we are now eyeing more challenging cycles such as the Scottish Highlands, Sardinia's south-east coast or the Burgundy wine route. 1. The bike is a sturdy German Kalkhoff Unisex with Bosch 500 powerpack (90-kilometre range). Recharge nightly. Balance the powerpack levels with the manual gears as you might a regular bike. 2. Begin slowly. Starting in turbo might mean ending in hospital. E-bikes weigh about 10 kilograms more than regular bikes. Insurance will be required but carry your Medicare card. Italy and Australia have reciprocal emergency medical care. 3. Pay attention to the e-bike instructions. Ask about turning on the rear light. This manoeuvre involves the computer. You will need lights in the tunnels. The battery is easy to remove once you know how. 4.Use the roadbook together with the cycle computer and reset the computer wherever the roadbook directs – a great aid to direction-finding. 5 Use the higher levels on inclines, otherwise you can pedal yourself. The powerpack requires constant pedalling. 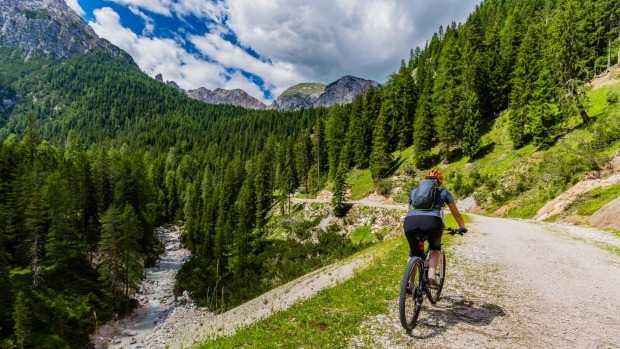 UTracks' eight-day, self-guided "Cycle the Dolomites to the Adriatic Sea" costs from $1550 a person twin share and from $1730 a person twin share with e-bike. Includes breakfast, accommodation (three or four-star), luggage transfers, route notes, maps, 24-hour support. See utracks.com or phone 1300 303 368. Alison Stewart was a guest of UTracks.